With the Myriad Genetics appeal here in Australia looming in the near future, I thought it'd be time to discuss an important aspect in the case, both at first instance and in the appeal; what can be classed as being a 'manner of manufacture'? To give more clarity as to where this stems from, a component for an invention to be patentable is that is has to be 'a manner of manufacture' under the Patents Act 1990. This requirement dates as far back as the Statute of Monopolies 1623 in England. What can be classed as such has not been restricted to a literal meaning of the phrase, but has encompassed a wide variety of things, not purely industrial inventions relating to the manufacture of goods. The leading case in Australia in what can be seen as a 'manner of manufacture' is National Research Development Corporation v Commissioner of Patents, often referred to simply as the NRDC case. 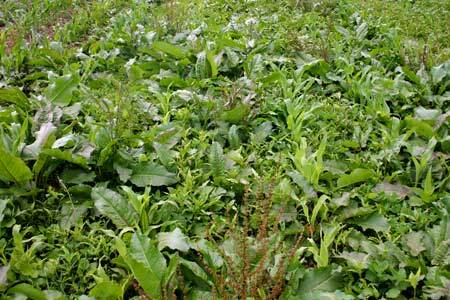 NRDC concerned a patent relating to the killing of weed plants in agriculture. NRDC had developed a method of using previously known chemicals and applying them directly to the soil, killing weed plants but still retaining the crops. What was new in this invention was that the chemicals only killed the weeds if applied in this specific manner, when it was previously believed they would not have this effect. NRDC applied for a patent for their invention which was rejected by the Patent Office based on the fact that it was not a manner of manufacture under the (at the time in force) Patents Act 1952 as the chemicals used were already known and their application in that manner would not constitute a 'vendible product'. The matter was taken further to the Deputy Commissioner of Patents, who also rejected the patent based on the same facts. NRDC subsequently appealed and the case went all the way up to the High Court of Australia in 1959. The High Court therefore had the final say in determining whether NRDC's invention was indeed a 'manner of manufacture' under the 1952 Act, which was previously rejected both during the initial application and on its appeal. Their Honors considered other matters in the case, such as novelty, however these are not relevant to determine what can constitute a manner of manufacture; although equally still important as requirements for patentability in their own right. In their decision Justices Dixon, Kitto and Windeyer boiled down the matter into one single question: "Is this a proper subject of the letters patent according to the principles which have been developed for the application of s 6 of the Statute of Monopolies?" This was, in their mind, a matter of weighing the old definition according to the evolution of patents and how they have been assessed relying on older precedents and formulating an approach that would encompass the considerations put forth prior. Their Honors considered the case of Re GEC's Application where Justice Morton formulated the definition for what could amount to a 'manner of manufacture': "a method or process is a manner of manufacture if it (a) results in the production of some vendible product or (b) improves or restores to its former condition a vendible product or (c) has the effect of preserving from deterioration some vendible product to which it is applied". The judges in NRDC criticized this approach as having a narrowing effect if given a literal interpretation. This however links a 'manner of manufacture' to the idea of a 'vendible product', which was the consideration taken into account in the Patent Office's decision regarding NRDC's patent. Putting forth a clarification on Justice Morton's 'rule', their Honors stated that "It is, we think, only by understanding the word "product" as covering every end produced, and treating the word "vendible" as pointing only to the requirement of utility in practical affairs, that the language of Morton J. 's "rule" may be accepted as wide enough to convey the broad idea which the long line of decisions on the subject has shown to be comprehended by the Statute." Their Honors therefore accepted Justice Morton's approach, but insisted that the term 'vendible product' be given a wide and generous interpretation so as to not limit it. Setting out the test for what would amount to a 'manner of manufacture', their honors saw that the invention "...must be one that offers some advantage which is material... the process belongs to a useful art as distinct from a fine art... [and] that its value to the country is in the field of economic endeavour." Applying this to the case at hand their Honors saw that the method employed by the claimant fell squarely within the definition of a manner of manufacture. The method can be considered a 'product' as it consists of an artificial state of affairs which can be observed if looking at the growth of the crops and the weeds when used. The method also has a significant economic effect as it gives an advantage to its users, yielding more and better crops. Clearly it also is a useful art as opposed to a fine art. The judges accepted the appeal and saw that NRDC's application should be accepted as lodged. As one can easily see, the test for what can amount to a 'manner of manufacture' is quite broad, and justifiably so. With new technologies evolving fast and new inventions taking on wholly new functions and applications, leaving the test narrow, much like in Justice Morton's test, would hinder the progress of industry and lower the desirability of patenting those inventions or methods. Even though the test was formulated over 60 years ago, it still plays an important part in modern litigation; most recently the genetic patent litigation (which was discussed on this blog previously here) involving Myriad Genetics. What the appeal will yield still remains to be seen, but whether the isolation of genes is a 'manner of manufacture' still plays an important part in that determination.